Das ist so lieb Melanie! Danke! Such a simple yet pretty look! Thanks for sharing! Also I just love your blog header! It's so cute! Thank you for reading hun! You looks stunning! Love the idea of combining foundations, that's something I need to try out! It’s so simple but makes thes biggest difference! This is a perfect spring look! You look gorgeous! So happy to hear that girl! This is such a pretty look for spring, I like the light pink lip :) Charlotte Tilbury products are just so good, I need to buy her Magic Foundation again as I'm almost running out. Also, your flat lay is beautiful! You have to! It’s a game changer! This sounds like a good look! Ooh I loved this post idea! Stunning products, I still haven't got my hands on anything Charlotte Tilbury. I don't even know where to buy it in Australia except online haha! I can also only buy it online.. but it’s worth it! Such a pretty natural look! Love the eye makeup so much! You are so sweet Vivian! Such a pretty look! We can tell you just love Charlotte Tilbury ! You have to give it a try girl.. it’s the best! Your face look so vibrant and fresh! Lovely look dear! I'd love to try the airburhs flawless finish powder real soon. Thanks for your suggestions! This is such a beautiful blog post. 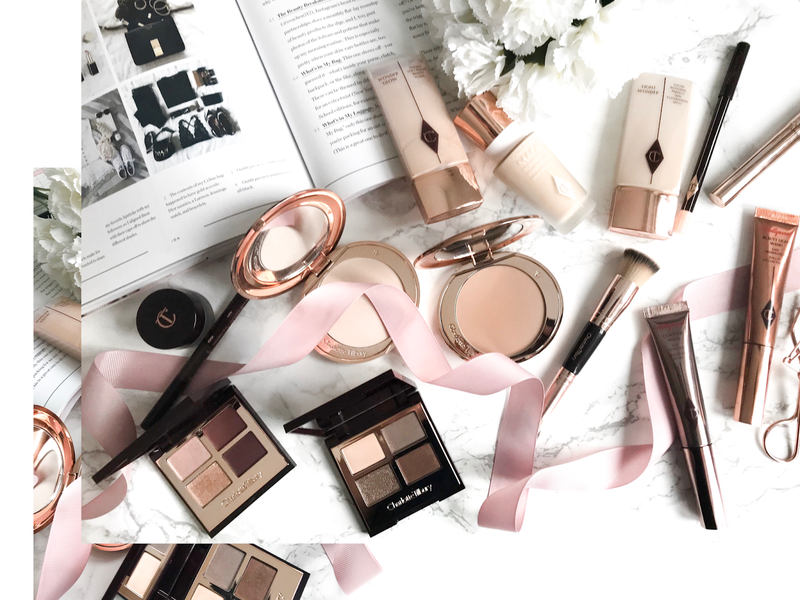 I absolutely adore Charlotte Tilbury makeup products and I use them all the time! They are my number 1! Loved your look. You are looking so stylish. And thanks for sharing make-up tricks with us. This is such a beautiful look and oh my goodness, I'm drooling over those Charlotte Tilbury shadows- they're stunning! Ah thank you so much lovely! You have a very lovely blog design, thanks for sharing your make uo tips also! Girl you have to try a few bits.. the light wonder would be perfect for you! Hey! What app/ software you use for the arrow doodles? Wow babe!! This looks absolutely AMAZING!! adore this girl! ps, your skin is flawless! Ahhh babe this means so much! THANK YOU!